When I was younger, I always thought that one baseball glove was good for everything and probably went and picked the first one that you liked the look of. But there is so much more to infield gloves such as different sizes, webbing and patterns. 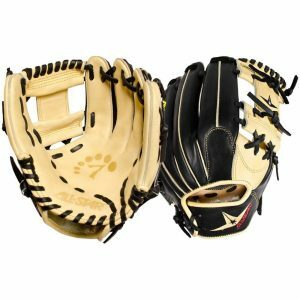 To write this article, I have spent countless hours researching and testing different infield baseball gloves to see what really stands out in the market right now. Some of them are a bit unusual but I don’t claim this article to be perfect at all. I’ll nerd out a bit about what to look out for and then hopefully the reviews below will help you make a good financial decision. What size should I go for with my infield gloves? There various sizes available to choose from but generally, I find that they go from 11.25 to a 12 sometimes even 12.25 depending on the baseman preferences and positions. Usually the second basemen have the smallest gloves along with the shallowest pockets because you are receiving throws from the short stop and third base. The last thing you want to be doing in this position is to be digging around for the ball in your glove, it needs to be a quick transfer from glove to hand. With short stops, they tend to be kind of in the middle ground around 11.25 to 11.75 but I have seen some players 12-inch but I personally think that’s a bit too big for me. And with third base, they are slightly bigger starting off from about 11.5-inches up to 12. What type of webbing should I go for? When you look at major games and most common players, I noticed that the most common web is the I-web which gives you a shallow pocket. It’s most common at second base and short stop. There’s a few basemen who use it at third base but most use a different one in that position. From my research I also found quite interesting that you always want an open glove when it comes to infield baseball gloves. That’s because when you are scooping up the ball from the ground, you want the dirt to fall out while keeping the ball in the glove. This is different to a pitcher who wants to hide what they are doing to the ball with a closed webbing. Therefore, pitchers are more likely to select basket webs, two-piece solid webs or closed webs. You then get into H webbing and cross webbing which is a medium to deep web used mostly at third base. It has a nice open style webbing design which allows for any dirt and debris to fall out. This webbing is typically stronger and more flexible than I-webs which helps with those hard balls that are hit to third base. So now that we have covered some of the basics, I can finally go into my reviews of the glove themselves. I’m super excited about these because I spent so much time and hopefully my help will make you make a better financial decision. 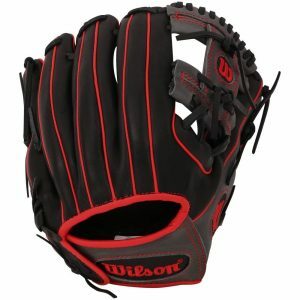 Wilson’s 6-4-3 B212 is a legend in Wilson glove culture as it perfectly combines affordability and quality. 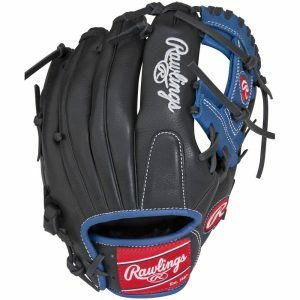 It is designed specifically for pitchers and it is one of the most popular infield baseball gloves in the MLB. This is not just because Wilson is better at professional glove distribution but the glove has a deep pocket and 2 piece web that allows for full ball concealment. This is a feature desired by most elite pitchers. If you aspire to be an elite pitcher or you are already one, we recommend the 6-4-3 B212 gloves wholeheartedly. There are two layers of leather in the palm that makes it more padded and durable. It helps to make the glove slightly heavier while also adding a longer break-in time. The leather strips in this glove that hold the fingers together (called welts) are soft since they are rolled before they are sewn together. The backing of the 6-4-3 B212 has an open back with a laced binding. The open back allows for extra ventilation and the laced binding provides a snug and secure fit. This helps to keep the glove in place even in the toughest plays. The Rawlings Heart of the Hide glove combines professionally inspired designs with classic color combinations. This is a traditional infield based glove, and it is built with a decent-sized pocket. 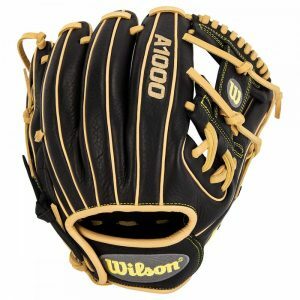 This glove comes in 11.75-inch Trap-Eze web design. 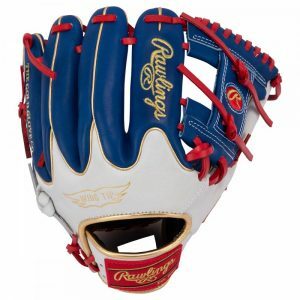 The 205-4CT is designed especially for the third baseman or pitcher that wants a trap web on a custom looking glove. The deer tanned cowhide and palm lining provides exceptional protection. The plush, full-grain finger back lining of the 205-4CT provides an unbeatable fit and feel. The leather used to make this glove is made from the top 5% of the center on the steer hides. Not only is this glove reliable and dependable but it has a padded Palm and thumb loops that deliver extra protection and optimizes comfort during impact. It also comes with a 30% factory break-in that makes the break-in period less time-consuming. The PRO 205-4CT has a conventional open back with a red patch. The DP15 has a thin Palm that allows for a quicker break-in period which can be helpful for younger players. This glove is a great choice for any player transitioning through travel ball. It is a reasonable choice for growing players who only require quality in a certain size for a defined number of year. It is available in three different colors – black, blue, and red. The DP15 is an 11.5 inch infield glove and can be considered a utility infield glove. This glove is an H-web model that is game ready as soon as it is taken out of the box. When compared to the A2K and A2000, it comes at a fraction of the price. Rawlings series allows you to get the same VIP treatment as the pro members of the Rawlings team. The RCS gloves allow you to build your own Heart of the Hide, Gamer XLE glove, or your preferred Rawlings Pro from the ground up. The Rawlings Custom Series is made of full grain leather steer hide with leather lacing that helps to create a fashionable, comfortable, and durable look. It has a game ready feel for that quick and effortless break-in. This glove is the perfect choice for any player looking for a custom glove with a splash of color. It features a patented Dual Core technology, narrow fit patterns, and it comes in a variety of bold colors. The RCS glove is an 11-inch, and it is ideal for third base or infield positions. For a personal touch, you can customize the nameplate. The zero shock Palm pad can help to reduce sting while the speed trap on this glove allows for faster closing of the glove. It has a conventional style back with a pull strap that provides a comfortable fit. The non-slip thumb loop and the deep basket web pattern allows for greater control. The pads on the index finger and palm help to diminish the ball impact. This glove’s construction and dimensions make it the most popular glove from Wilson. The 1786 leather is sourced from specially raised cows in Japan and Wilson refer to this leather as Pro-Stock. This glove uses a very traditional hand entrance that is not too small and not too big. 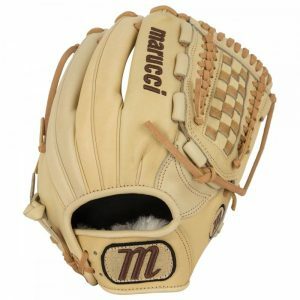 It has a general fit on the hand, making it most infielders dream glove. It has a shallow pocket that helps to get rid of the ball quickly. It has extra padding in the heel that will not distract you when making exchanges. b that helps to keep the pocket shallow for quicker transitions. 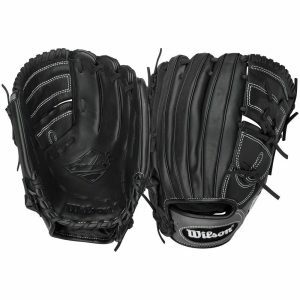 The Palm, lacing, and shell are made of Wilson’s Double Play leather. Just like the B212, the 1786 also features a Rolled Dual Welting that helps to create a long-lasting shape with a quicker break-in period. The Mizuno MVP Prime SE is one of the most versatile in this niche. This glove has a center pocket under the index finger that offers an adaptable break-in. It is made from quality soft leather that helps to improve the feel of the glove. This glove is specially designed for those players looking for natural movements which synthetic materials can’t replicate. The Mizuno MVP Prime SE has a lace design at the edges which helps to improve control and stability of the glove in high impact areas. This equips players better to hold the ball. The Heel Flex Control technology on this glove will help to improve its flexibility. This technology patented by a Japanese company. This technology also allows you to stop and hold the ball. The color options and the overall design of the MVP Prime SE give it a premium feel. The Outfit Shock 2 web technology will also give you more stability and better control of the ball. This glove comes in multiple color patterns so you can choose the one that best suits your preference. 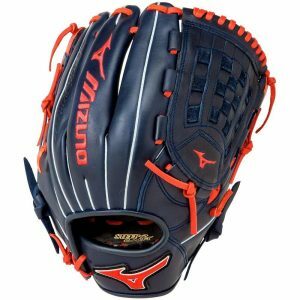 The Mizuno MVP Prime SE is perfect for infielders as they can benefit from its stiff but soft feel. 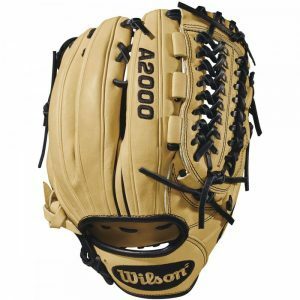 The Wilson A2000 D33 glove is an 11.75-inch glove that is built specially for pitchers – although, a third baseman might like the intricately laced webbing and deep pocket. This glove is a good fit for an elite pitcher who likes the look of the webbing over a more classic look. The D33 will work well for those athletic pitchers who need to make a play often. The deep and wide pocket on this glove will help pitchers conceal their grip. pocket while also giving it a long-lasting break-in. The gap welting also gives it a flat and more consistent pocket. The D33 is made from Pro Stock leather that gives it unmatched feel and rugged durability. It has an ultra-breathable wrist lining that helps to transfer moisture from the skin, keeping your hand dry and cool. 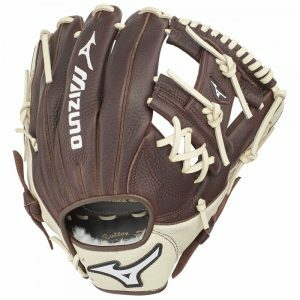 At a length of 11.75 inches, the Mizuno Franchise series is an awesome baseball glove for younger pitchers and/or infielder. This glove is made from Pre-Oiled Java leather that helps to give more life to the baseball mitt and is durable. It has a Hi-Low lacing that gives the glove more flexibility and durability. The Mizuno Franchise series is flexible, durable, and comfortable and it is reasonably priced. The web design and the styles of the laces help to make the glove great looking and functional. The Adjust-A-Size wrist closure feature in this glove will help players create a personalized fit for any size hand. It incorporates the Palm Soft and ParaShock technologies to protect your when catching the ball. The ParaShock plus helps to absorb the shock of repeated use as it provides outstanding protection and comfort. The Palmsoft lining has padded pigskin in the Palm that helps to increase comfort and feel. The Mizuno Franchise series has an open back, Deep III web style and a silver/coffee colorway. 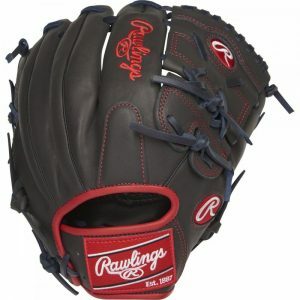 The Rawlings Gamer XLE is an economical a glove with full leather construction. Although the leather may not be the best on the market, you can expect to use it for a decent amount of time. 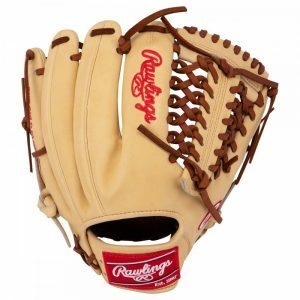 It is made from full grain cowhide leather that offers players easy break-in and durability. This is an infield baseball glove that has shorter finger stalls and smaller hand opening for great ball control and balance. This makes it ideal for players with small hands or younger players. The XLE features a soft, full grain shell that helps to maximize defensive performance. The fully padded thumb loop gives it a comfortable feel. It also features the PORON XRD Palm pads that help to reduce the ball impact significantly. The XLE feature a limited edition color scheme that you can’t find on other Rawlings glove. The ProGrade laces in this glove provide additional durability for that long lasting shape. The Rawlings Gamer XLE also features a Modified Trap-Eze web and a conventional open back that can help players own the infield dirt. The All Star System seven gloves is made from high-quality Japanese Maruhashi Black and Tan leather that gives it long lasting durability and allows for a fast break-in. The tan leather helps to create a pocket, and it breaks in fast. The stiff feel of the leather provides the needed support for a long lasting glove. The Pro Guard Padding in the All Star’s glove provides a thin layer of additional padding in the Palm. This helps to kill the sting miscaught balls. This glove is thin enough to allow players to know where the ball is in it. This is an 11.5 inch infield glove that features a shallow pocket and a conventional open back for quick ball transfer and easy scooping. This glove has a nice quality lacing that is durable and soft. It has an adjustable Velcro wrist strap and a typical two-piece bar web. It has a very deep pocket that closes completely around a baseball. The All-Star system seven gloves is a durable high-quality glove that will surely last you through multiple seasons. It combines amazing value and great quality leather. The Marucci HTG series is a durable and more game ready option that can help players maximize their defensive performance. It is made from premium steer hide leather that is tanned to feel and perform like Japanese hides. The leather gives a game ready feel with superior durability. The HTG glove uses a thin heel padding that allows for better feel on the ball and easier break-in. This glove comes with 100 percent wool on the wrist slot backing. The HTG gloves are skillfully handcrafted to ensure an individual custom fit and precise attention to detail. The open back closure on this glove helps to improve the weight and durability. The split gray finger Welting helps to add a more leather feel to this glove. The Marucci HTG series is perfect for utility players and pitchers. Pedroia’s famous tight fit so the wrist slot is tighter and the knuckle bridge is lower. It has a small hand way, and it is specifically designed for smaller players. The PRO204W2R2 is made of steer hide leather and it features the game-day patterns. The tanned cowhide plus Palm lining gives it added protection. It has a padded thumb sleeve that gives it extra comfort. The additional structure and padding inside the palm help to increase the durability. It has a tapered wrist with the traditional I-web design. The PRO204W2R2 is a perfect middle infield glove that gives a more snug fit. It has an 11.5-inch short pocket that is made for easy access to the ball and quick transitions. The Dual Core in this glove helps to deliver an easier break-in and softer leather. The PRO204W2R2 has remarkably durable laces that ensure a comfortable feel.